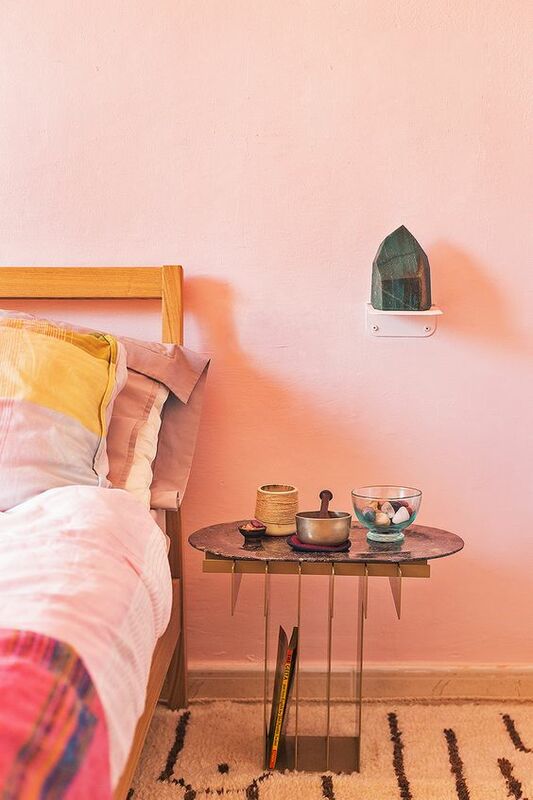 This is the bedroom of Marc Peridis from 19 Greek Street. Pink and cosy and very much what we’d all like a piece of. But that’s not why it’s here today. It’s here because of that tiny shelf. 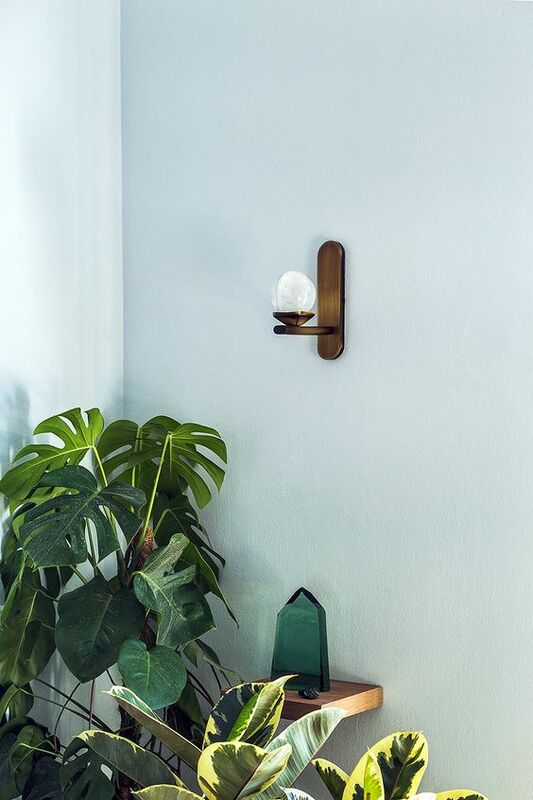 * That shelf that’s doing nothing more than providing a platform for a big crystal. That shelf that I’m here to tell you is the Next Big Tiny Thing. Marc Peridis appears to use his only for crystals. *update, a discussion has ensued and we think that might be a straightforward bracket painted the same colour as the wall. AKA a cheap idea to steal. But let that not put you off the idea – no offence to Marc, I’m just keeping in mind the chakra-sceptics in our readership. You could put on there whatever the heck you want. A pot, a postcard, a scented candle. Obviously a small plant. Lets take a spin of some other tiny shelves. 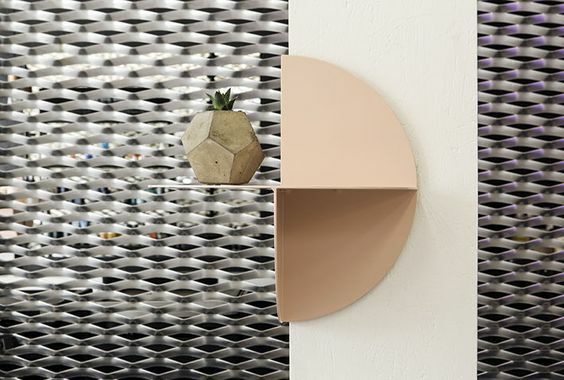 Hay are all over it with Pivot shelf, which has cleverly moving components so you can hang it a number of ways, even around corners. This next one is called Axial and is by a company called AMB studio – it’s a bit similar to the Hay one. 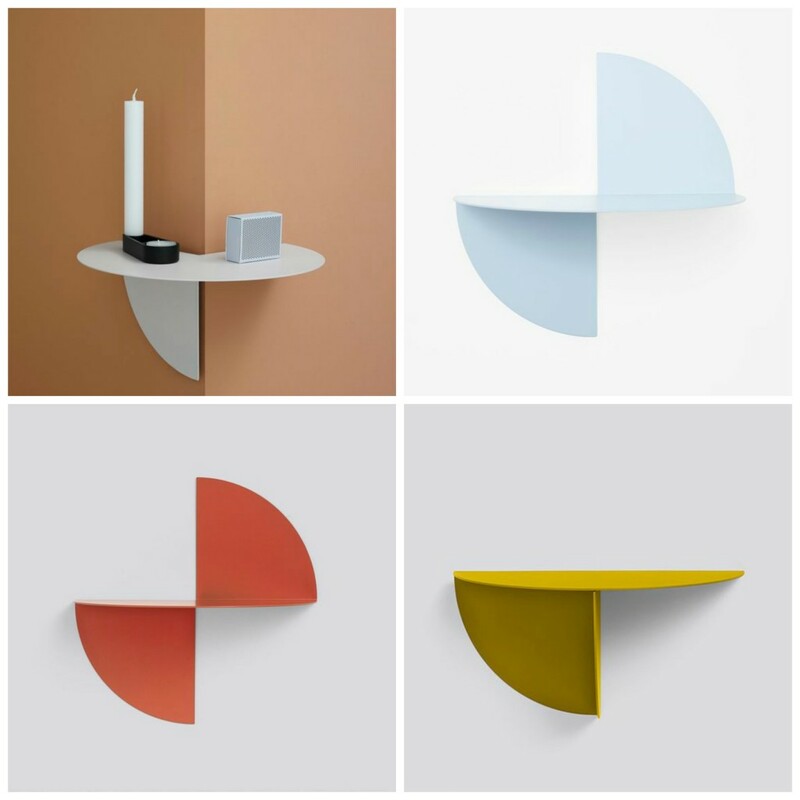 There’s also an assortment of more linear options, like these handy slim looking things from Muuto which have a lip to stop your favourite wire face from falling off it. The ones I like best only have room for about one, two at best things on them. They fly in the face of that whole ‘start a collection’ bananas that has been the thing for years. I’ve never had enough staying power for one thing to achieve that idea dammit. Oh jeez – our new house had weird tiny shelves built onto the picture rail, I’ve placed a single plant on each one. I think I must be a friggin way-ahead-of-the-curve genius, I’ll take the rest of the day off to congratulate myself. Picture rails next I reckon. Loved this one. Very creative idea for decoration as well as keeping our stuff without taking much space in a stylish way. 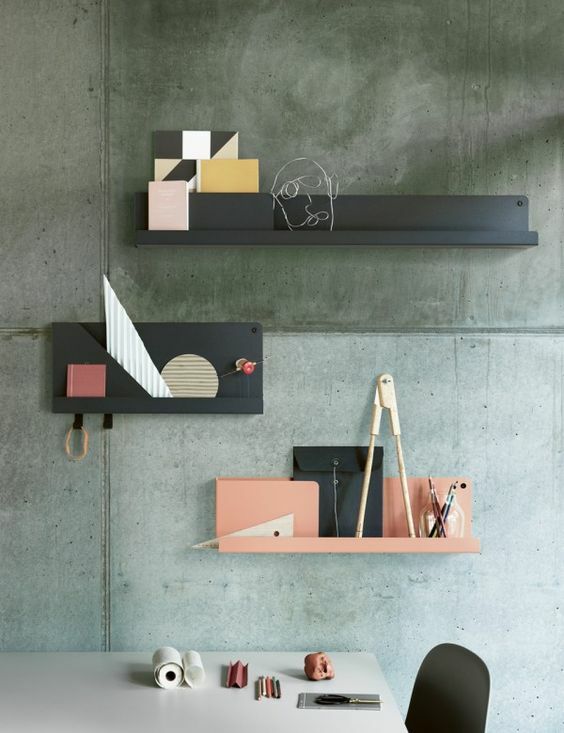 These tiny shelves are a new ideas for me. I really loved them. There is something enormously cute about them! I mean the smallest ones. Geometrical ones aren’t so appealing. Those pics gave me an idea on how to display some knick-knacks in more elegant way. I love minimalistic solutions. I’ve seen something similar on http://thehomeexpert.uk/ the other day. Leave a Reply to Choice Furniture Superstore Click here to cancel reply.